In Media and Journalism getting a job has became a tough nut to crack. Universities are just a platform where you can enhance and get yourself launched in the field but the real thing depends upon your talent. So, for job you must first try for internships. Be it a paid or unpaid internship, just apply for it and gain experience of working. Try to build up your media page and develop it parallely. This will give a plus point to your CV. Hello, hope you are doing well, in the question you have asked you didn't mention which university. So, let me tell you that media is a highly popular and therefore competitive field, so the experience is critical. You will need to be motivated and persistent in your applications. yes. you can do msc in biotechnology. as bsc in horticulture is biology related subject. the eligibility for m.sc in biotechnology is B.Sc. in any of Biological Sciences, BAMS, MBBS, BHMS, BPT and B.Pharm. There are various institutes who conduct their entrance exams if you wish to persue mass communication. Various Media and Journalism Entrance Exams are conducted by many private and public colleges in India for admissions in various masscom courses. There are so many books for Journalism & Mass Communication 2019 For Admission Journalism 2019 exam preparation, but i must say you should have latest two types of book one for Journalism & Mass Communication Last 10 or 20 years question with solution and another book is for Journalism Entrance 2019 syllabus wise subjects description and solution. 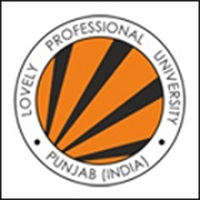 You can visit the official websites of the above mentioned colleges . There are many career prospects at hand for journalism students. Candidates who have finished their course successfully can find employment in newspaper companies, magazines and periodicals in addition to central information services etc. The AIR and Television channels like ZEE TV, Doordarshan, and Star TV etc also employ students of journalism. Furthermore candidates can find work as editors, correspondents, photojournalists, news analysts, proofreaders. They can also pursue careers as reporters, columnists and as freelance or staff writer in electronic as well as print media. Another option is web journalism where reporters create content for websites. The initial salary of candidates will be around Rs. 5500 to Rs. 9000 each month. Senior reporters will earn approximately around Rs. 5000 to Rs. 10,500 per month. The salary of editors will be Rs. 7500 to 12000. The remuneration of the candidates will depend up on their skill and the company that hires them. Those who work as freelancers are paid their salary when they submit their work. Journalists are also given travel allowances along with their salary package. For any kind of further information please comment below. which age are allowed here for addmission? How to become a journalism? Can you please suggests me which course is sutaible? I guess your question is "How to become a Journalist?" 2. By pitching and writing articles on a freelance basis. To become a journalist you need to crack the entrance exam then secure a seat in popular college then gain formal education then apply for internships or job . Courses:To become a journalist you will need a bachelors degree in journalism or communication ,while completing your degree you can choose to specialize in either print or broadcast journalism.Futher you can opt for masters degree.You can also do various short term job oriented courses in journalism,mass communication,content writer. For more info visit the careers360's site mentioned below. Hope this helps and all the very best! Dear if you have done your masters in mass communication and journalism than its better for you to qualify ugc net or jrf net through which you will get fellowship and Join PhD in good university. Hello, hope you are doing well, as I already said you can go for Jamia Millia Islamia official website you will find students desktop in the left corner at study at Jamia section. It's not officially available. So, kindly do follow the above procedure to get viva materials for degree last year. I can suggest you one thing just go to the official website you can find the study at Jamia in the left corner just go through those you even have students helpdesk over there you can ask all your queries over there. The thing is jmi don't provide officially any of the viva materials. So, you just can ask all your queries in the student's helpdesk. Viva materials jmi where will get? Jamia Milia Islamia released all the important dates pertaining to JMI 2019 mass communication entrance exam on March 14, 2019. The application form of JMI mass communication 2019 was available from March 14 to April 12, 2019. The authorities will provide a window for a specified period for certain changes to be made in the form. JMI mass communication 2019 admit card will be available for downloading from May 10 to 15. JMI mass communication entrance exam will be conducted on June 9, after which the shortlisted candidates will have to take part in next round of selection which will consist of interview, group discussion and portfolio. 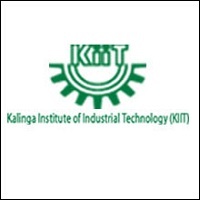 Where i will get degree last year viva materials of jmi? Hello, hope you are doing well, I can suggest you one thing just go to the official website you can find the study at Jamia in the left corner just go through those you even have students helpdesk over there you can ask all your queries over there. The thing is jmi don't provide officially any of the viva materials. So, you just can ask all your queries in the student's helpdesk.